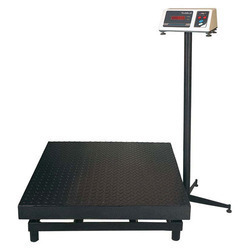 Pioneers in the industry, we offer heavy duty platform scale and electronic trolley scale from India. Owing to the extensive knowledge of our professionals, we have been able to manufacture and export a quality assortment of Heavy Duty Platform Scale. This scale is used for precisely measuring heavy materials. It is designed using quality components and is thereby, widely demanded in the market for the same. This scale is renowned for features like precise readings, robust construction, high strength, operational fluency and smooth functionality. We offer this Heavy Duty Platform Scale in different models and customized options as per the specific requirements of clients. 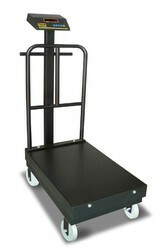 Electronic Trolley Scale which fulfills all the necessities of the market. These dormant scales and Trolley Weighing Scale are used in scrap, food, aluminum, and steel industry for all weighing applications, right from weighing freight to weighing animals. Suitable for Market Yards, Warehouses etc. Looking for Heavy Duty Scales ?